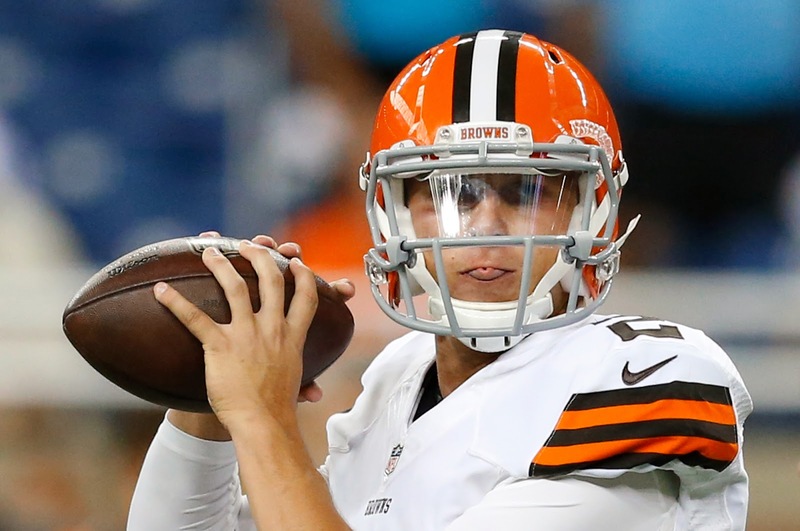 - The crowd at Ford Field gave Johnny Manziel mixed reaction when he entered Saturday's game. He immediately got a lesson in how much better the closing speed is in the NFL than even the SEC in college. He didn't get far when he tried to scramble, did he? - A couple forgotten players for the Lions have looked pretty good so far in this game. Mikel Leshoure is running with much more speed and authority than last year at this time. Ryan Broyles looked good catching the ball and making a nifty move for some yards after the catch. It difficult to believe not long ago each was a second-round draft and one is running third team (Broyles) and the other fourth team (Leshoure). - Running back George Winn, who has carried the ball for the Lions a couple times tonight, and caught a pass, is from Southfield. He went to high school at University of Detroit Jesuit. Like Eagles' linebacker Connor Barwin, the most recent player from that high school to play in the NFL (he is starting for Philadelphia), Winn went to the University of Cincinnati. Barwin's hometown is listed as Hazel Park.